Jet Seal 109 is a unique anti-corrosion sealant developed to provide the finest finish and protection available for paint, fiberglass, aluminum, chrome, alloy metals and other substrates. Developed exclusively for the aerospace industry, Jet Seal 109 was engineered to provide the ultimate slick durable finish and multi layerable protection from the harshest environmental elements. Jet Seal 109 is now available for automobiles in the same nano tech ultra durable consistency. This ability to chemical bond at a nano-tech scale allows the products to deliver superior results never before achieved from regular chemical formulations. Jet Seal 109 is to be applied in 2 coats to assure proper coverage. Jet Seal 109 will not crack, fade, discolor or peel and can be used on all chrome, polished aluminum, carbon fiber, carbon fiber/fiberglass composites, glass, fiberglass, gel coated fiberglass and even painted plastic. Jet Seal 109 delivers the finest shine and protection under the sun. 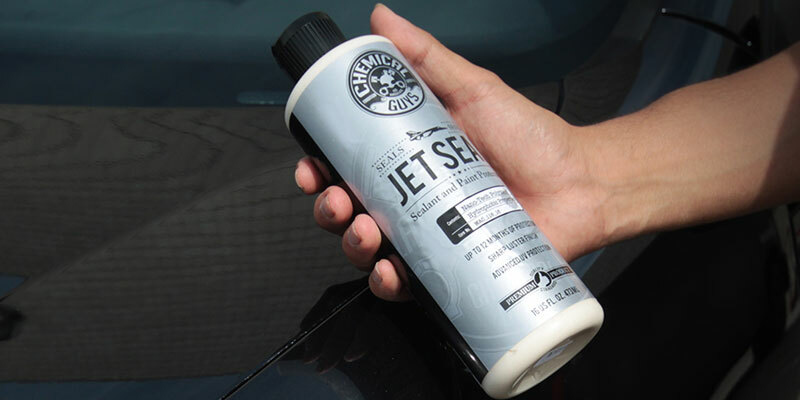 Jet Seal 109 bonds with the exterior of your auto giving it a mirror-like wet finish, that is virtually impenetrable. Jet Seal 109 is not a wax, polish or Teflon. 1. 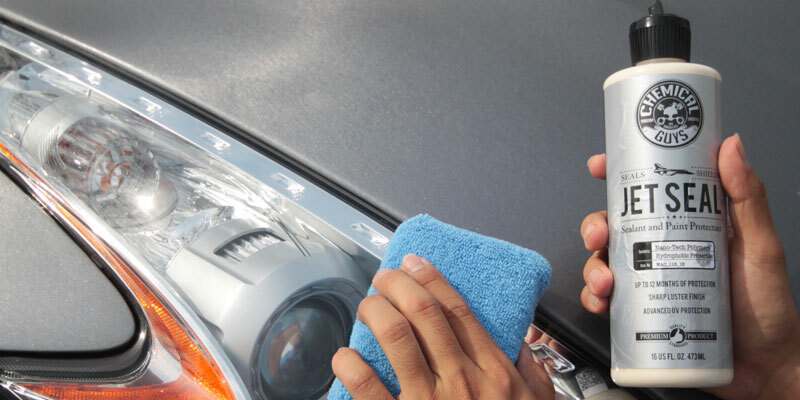 Pour a small amount onto applicator or microfiber pad and apply to entire vehicle in a thin, even coat. 2. Jet Seal 109 will bond with clean paint surfaces within 15 minutes. 3. Once removed allow 20 min. time and apply a second layer to assure even coverage. 4. If you prefer, you can apply this product with your PC or Dual Action polisher and a finishing pad. 5. Work at a speed no greater than 4.5 and do not apply pressure. 6. Use a microfiber towel to wipe down when done. 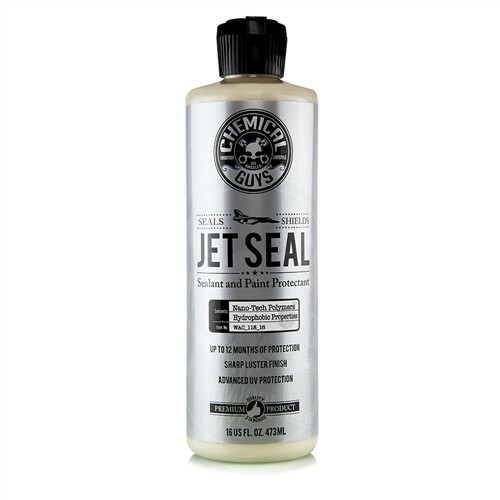 The JetSeal 109 is also available in a gallon size.